The pressure was all on the US, who had earned just one point from their last two matches. 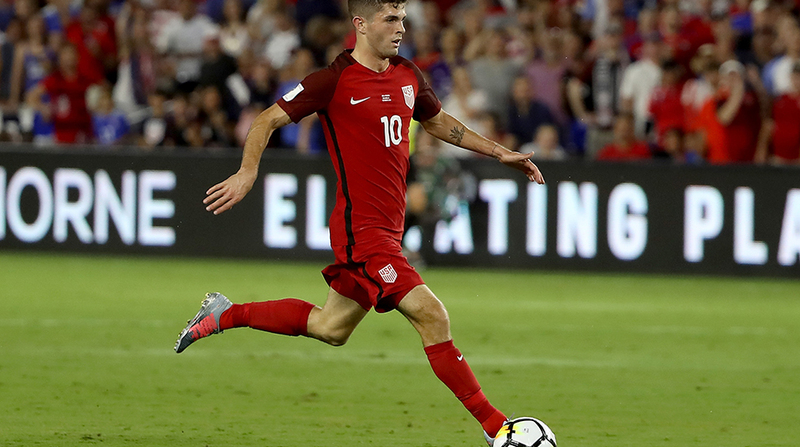 Christian Pulisic ran riot in Orlando to fire the United States to within touching distance of Russia 2018 with a 4-0 win over Panama. The brilliant 19-year-old scored one and made another to cap a sensational 19-minute burst at the start of this crucial World Cup qualifier to see off a shellshocked Panama team and help the US take a firm step towards next year’s finals. Pulisic opened the scoring on eight minutes and beautifully set up strike partner Jozy Altidore to make it two and compound a nightmare start for Panama, who now look destined to settle for a play-off match against either Syria or Australia to land a World Cup place for the first time in their history. Honduras, whose match in Costa Rica was put back a day because of adverse weather, also remain in the mix. For the Americans, however, a win against bottom of the hexagonal table Trinidad and Tobago on Tuesday will seal their ticket for an eighth consecutive finals and even a point should do it. “It was a good win for our team,” US manager Bruce Arena said. “We have had a great year despite what people think. We have come a long way. “The game in Trinidad won’t be easy but we are in a good position now. It will be challenging. We faced challenging conditions in Honduras and Panama so we will be ready. The pressure was all on the US, who had earned just one point from their last two matches — a dispiriting home defeat to Costa Rica followed by an edgy 1-1 draw in Honduras. And with Panama arriving in Orlando a point ahead of the US and eyeing an historic trip to the finals, the tension was palpable. The last four matches between the two had all ended in draws, a result which would have suited Hernan Dario Gomez’s side, who close out qualifying next week against a Costa Rican side who should have joined Mexico in qualifying by then. Arena needed his side to heap early pressure onto a Panama side who have been notoriously difficult to break down, conceding just five goals in their prior matches of the six- nation final round of qualifying. Pulisic, who has now been involved in 11 of his side’s 16 goals in this entire qualifying run – had the kind of youthful, skillful exuberance needed to unlock the most miserly of backlines. Bobby Wood, who was given the start ahead of veteran Clint Dempsey, led the line with Altidore. And it was the former Sunderland striker who went close early on when his close range shot was charged down before Wood shot inches wide soon after. Panama looked understandably nervous but Gabriel Torres’ first sight of goal on six minutes should have tested Tim Howard instead of flying harmlessly wide. His wastefulness was to prove key as Pulisic produced some brilliance to settle US nerves. Strike partner Altidore flicked the ball on and after the Dortmund star escaped the challenge of Roman Torres, he calmly rounded Jaime Penedo and slid home from a tight angle. “At some point people are going to stop talking about his age and start talking about what a good player he is,” teammate Michael Bradley said of Pulisic. Pulisic’s contribution on 19 minutes was equally impressive. Picking up the ball on the left wing, Pulisic delivered a superb cross which was gleefully tapped in by Altidore. The US were utterly dominant and on 43 minutes the game was put to bed. Wood was tripped in the area by substitute Armando Cooper and Altidore stepped up and cheekily chipped the ball down the middle. “We wanted to press them early and get behind their backline,” Arena said. Pulisic left the field to rapturous applause on 56 minutes and the house was brought down yet again on 63 minutes as Wood capped an industrious performance with a well taken strike.